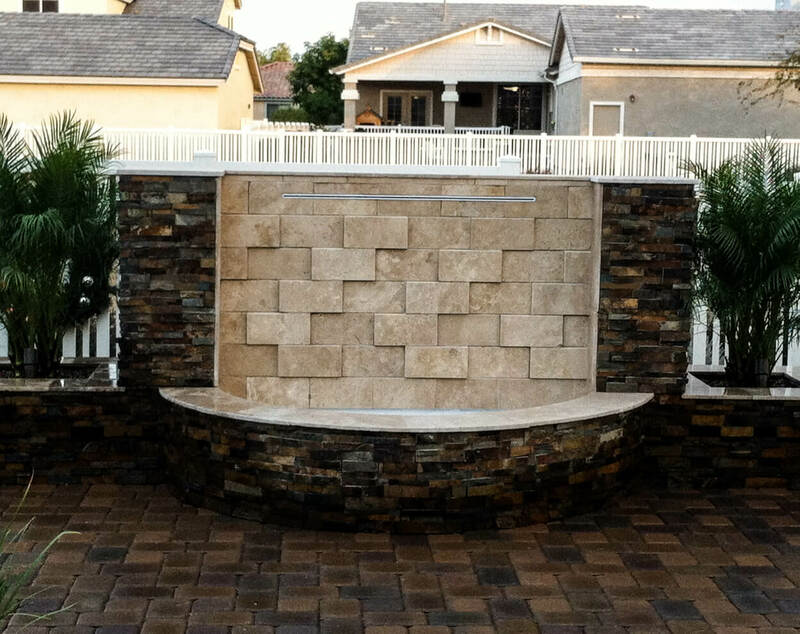 Water features aren’t just beautiful, they work on all your senses. 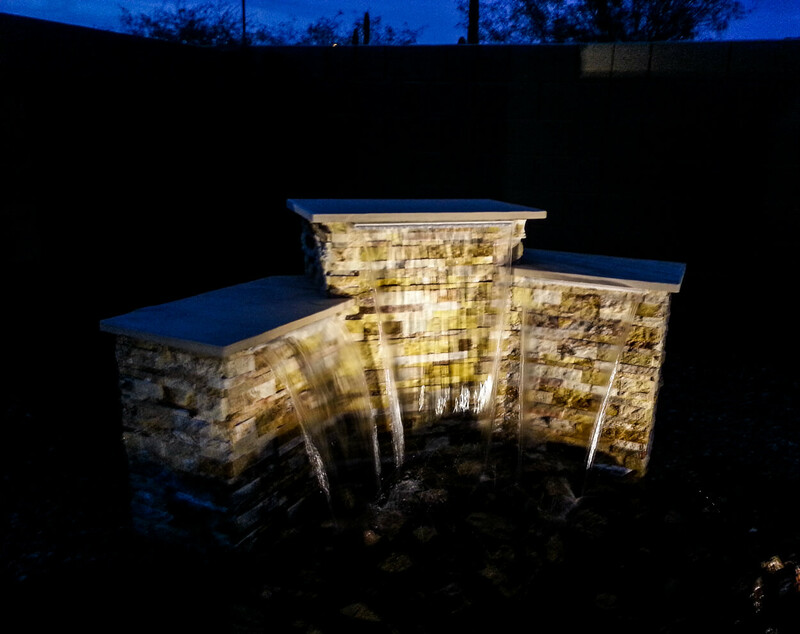 Fountains and waterfalls cool the area and create a relaxing ambiance. The sound of running water soothes the nerves and creates a sense of wellbeing. 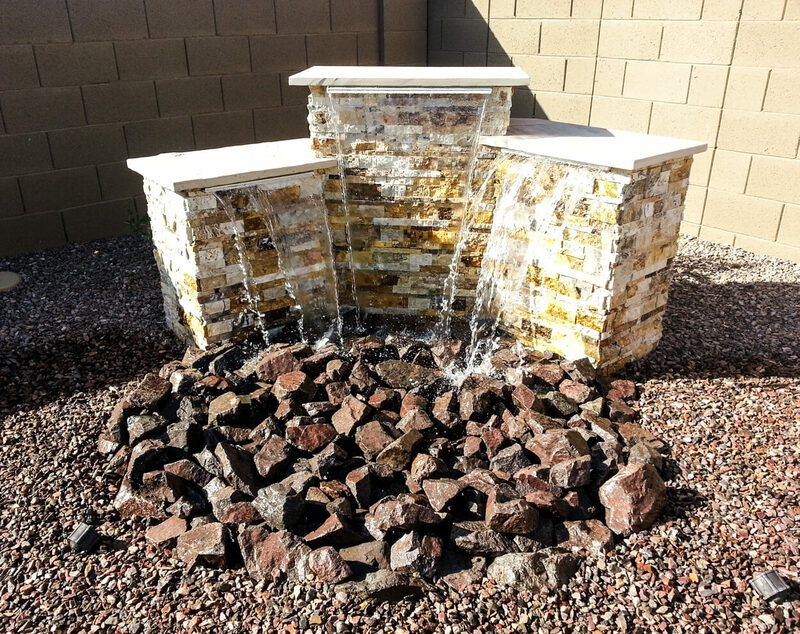 Garden water features are the perfect way to give that Arizona desert oasis feel in your space. 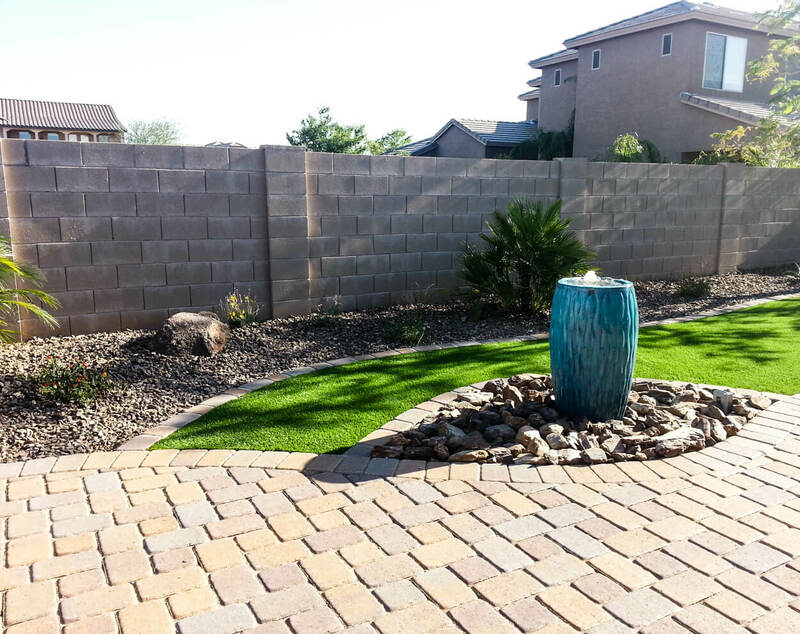 When we work with you to create a water feature design, we’ll look at the full-yard concept and your family’s needs. 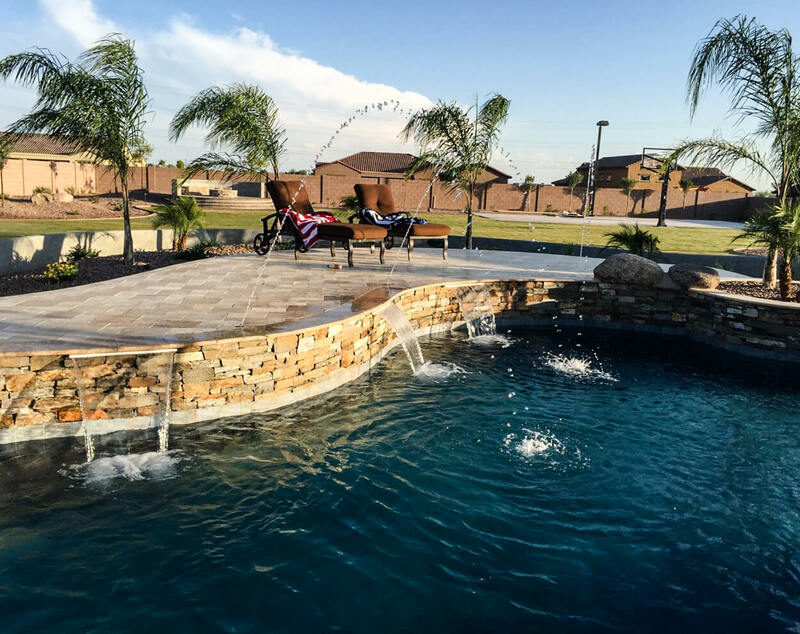 Families with small children or pets might want a fountain that has no pooling, while another family might want to integrate a fountain into a pool or Koi pond design. 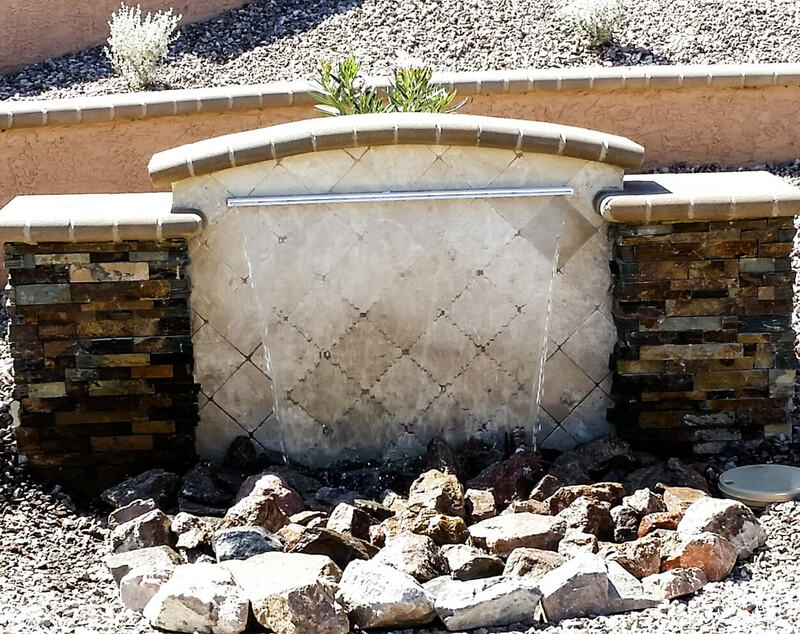 What Could a Pond, Waterfall, or Fountain do for Your Garden? 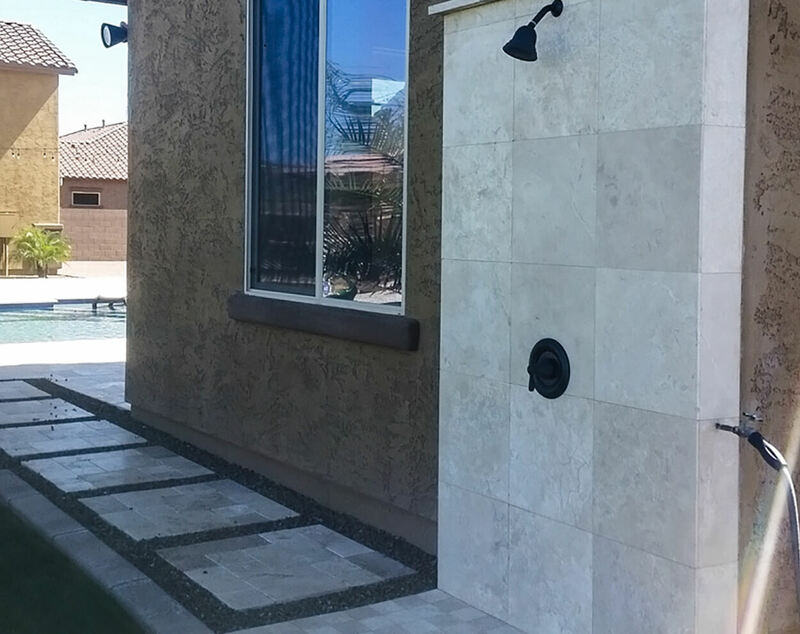 In the ancient art of Feng Shui, a well placed water feature can bring more wealth energy into your space. Water is a Feng Shui symbol for wealth and prosperity. 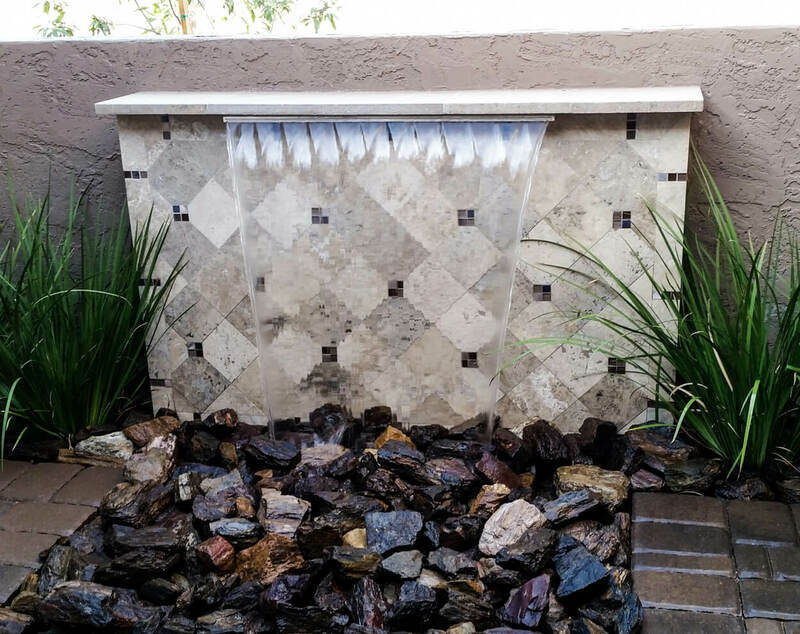 Water features are beautiful focal points and surprisingly easy to maintain. There are so many styles to choose from—our design expert will help you decide which is right for your needs and space. I sold that house, and a lot of it was due to the backyard design. I’m going to ask them to come out to my new house.